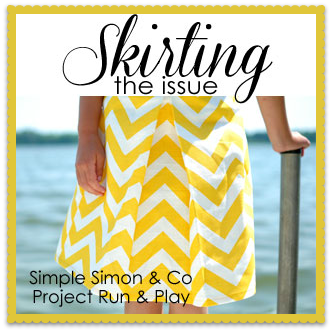 Liz and Elizabeth from Simple Simon & Company and Project Run & Play hold an event every July called “Skirting the Issue”. As a foster mom, this event holds very special meaning to me! Each year in the middle of the summer, people from all over the country, donate their time and talents to sew skirts, quilts, and pillowcases for children in foster care. 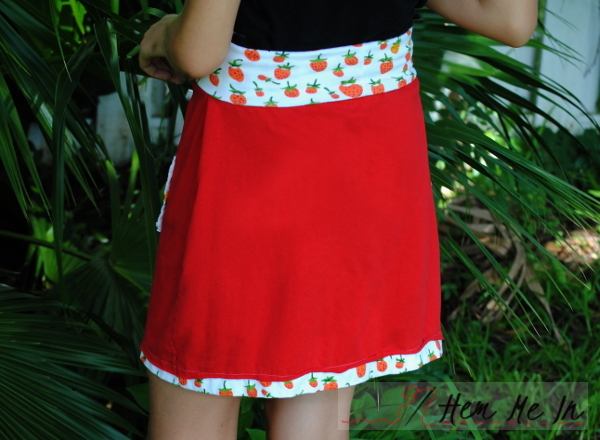 This skirt is a really easy sew using cotton stretch (cotton/lycra) jersey. You could easily sew up a stack in an afternoon. The rolled edges of the jersey add some fun details. 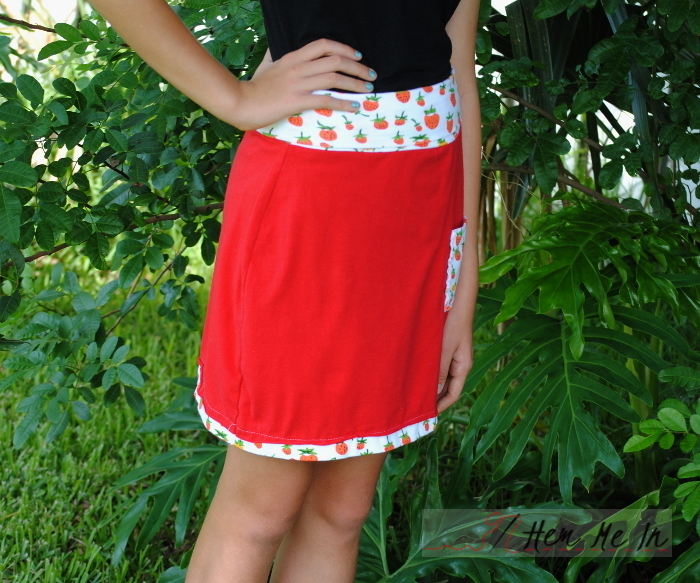 I’ve updated the pattern so that you can either measure the wearer to customize the fit of the skirt in any size or use the measurements that I’ve included to sew the skirt in US standard girls’ sizes from 5 to 14. You won’t need to print a pattern either way since the pattern pieces are all rectangles. Just measure and cut! 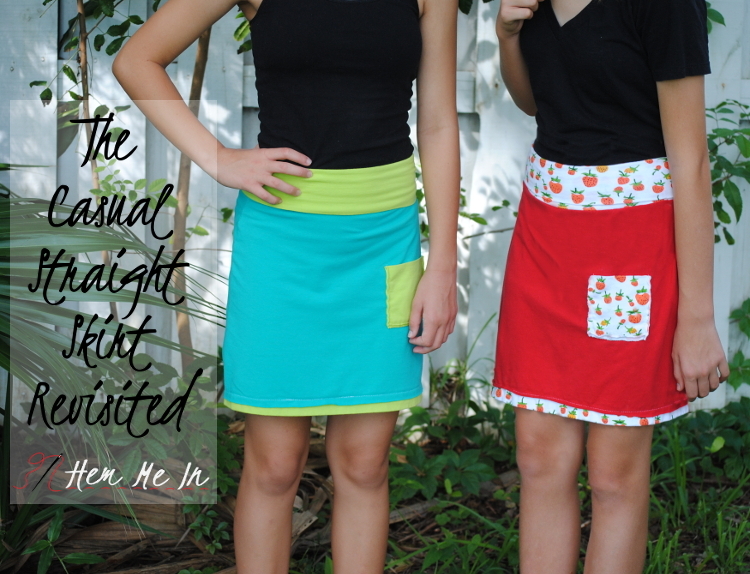 My preteen models were a little bit uncertain when I asked if I could sew skirts for them. (I haven’t done much sewing of clothing around here lately!) They went along with it, though, and when I was done, they really liked them! They’re so cute, and they’re comfortable. That’s a pretty perfect combination, right? Yay!! You can download the pattern right here. If you would like more information about how you can use your sewing skills to join in Skirting the Issue, just click right here. is this pattern still available! thank you!